ONRAD Announces New CEO - David Willcutts - ONRAD, Inc.
RIVERSIDE, CA–(Marketwire – Nov 7, 2012) – ONRAD, a full service physician-owned radiology provider, is pleased to announce the hiring of David Willcutts as its Chief Executive Officer. Mr. Willcutts brings over 20 years of healthcare expertise to ONRAD. Most recently Mr. Willcutts served as President of Univita Healthcare’s Integrated Home Care business unit (IHC), uniquely providing services in the home supporting health plans, hospitals and MSOs. Prior to that he served as the Co-founder, CEO, and Chairman of the board for Ancillary Care Management (ACM)(now Novologix), leading the organization’s growth from start up to managed care contracts covering over 35 million lives with large health plans throughout the United States. Under his visionary leadership, ACM made the Inc. 500 list for 2 consecutive years at number 9 and 115. “We are excited to welcome David Willcutts to ONRAD as we continue to grow our client base by providing radiological expertise to the communities that we proudly serve,” said Samuel Salen, M.D., former President and CEO of ONRAD who will now serve as the Chairman of the Board for ONRAD. As CEO, Mr. Willcutts will leverage his extensive experience in health care services to lead ONRAD to expand its growing presence and capabilities in the market. Mr. Willcutts received a Bachelor of Arts from Bucknell University and since 2002 has been a board member of the Western Center on Law and Poverty (WCLP) as an advocate for the poor in the areas of housing, legal aid, and healthcare.  ONRAD is a full service physician-owned radiology provider offering customized radiology services including on-site radiology, teleradiology services, subspecialty teleradiology interpretations, and quality assurance programs. As a partner, ONRAD helps its customers be more competitive in their local markets by complementing and expanding the radiology services already in place, or providing a complete comprehensive solution.